A sandwich designed to taste better in the air has been created by chefs as an antidote to flavourless mid-flight fare. Based on scientific studies on the body’s reduced ability to perceive flavours when flying, developers have infused the new snack with flavours that trigger key receptors in the mouth. 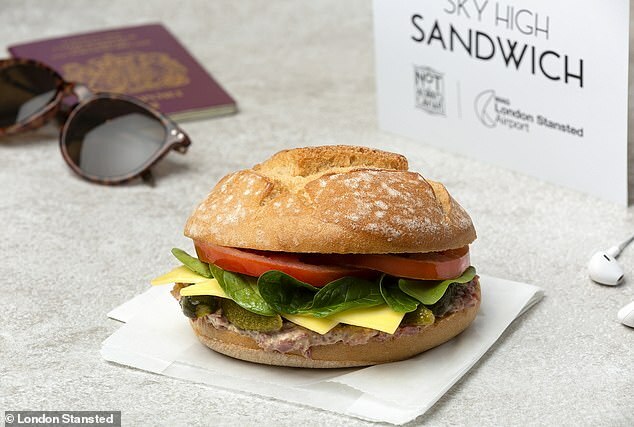 Dubbed the ‘sky-high sandwich’, the bloomer is packed with umami – the fifth taste after sweet, sour, salty and bitter – which experts claim can solve the problem of reduced taste sensitivity caused by dry air, low pressure and white noise at altitude. 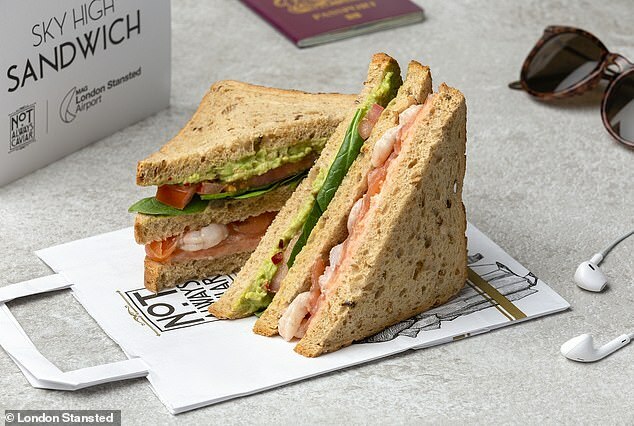 From Wednesday, travellers flying from London Stansted airport will be able to try the sandwich for themselves at luxury food outlet Not Always Caviar. The sandwich comes in two varieties, the ‘signature seafood club’ with optional caviar sauce (£8.50 or £9.95) and the salt beef deli (£11.95). Billed as ‘a culinary experience like no other’, its makers promise its umami-rich ingredients mean flavours are enhanced at up to 35,000ft. Stansted developed the new snack with leading food expert Professor Barry C. Smith, Director of the Centre of the Study of the Senses at the University of London. And while it may sound like something out of a science fiction movie, according to Stansted, this science has already been employed by some of the world’s premium airlines for the benefit of their business class passengers, making this science available to all. It comes as growing numbers of airlines withdraw complimentary meals on flights in a bid to cut back on costs. Professor Smith said: ‘Science shows that the combination of dry air and low-pressure during flights reduces our sensitivity to food aromas. ‘Additionally, the sound of white noise at 80 decibels or above has an impact on the brain’s ability to perceive sweet, salt and sour from the tongue – reducing its intensity by about 10 to 15 per cent. ‘In an aircraft cabin you are subjected to white noise of around 89 decibels. This will greatly reduce the flavours we can taste whilst flying. ‘Foods rich in umami provide depth of flavour and boost other basic tastes like salt, sweet and sour. Umami is also immune to the effects of white noise on our perception of taste. ‘Another way of boosting flavour mid-flight – where the altitude and white noise levels are high – is to combine different types of umami rich foods – creating synergistic umami.